There are over 40 species of Cribraria and I'm not even going to try to identify this one. When I started looking at fungi they were classified as Myxymycota (mucus fungi), they are now classified as Myxogastria. 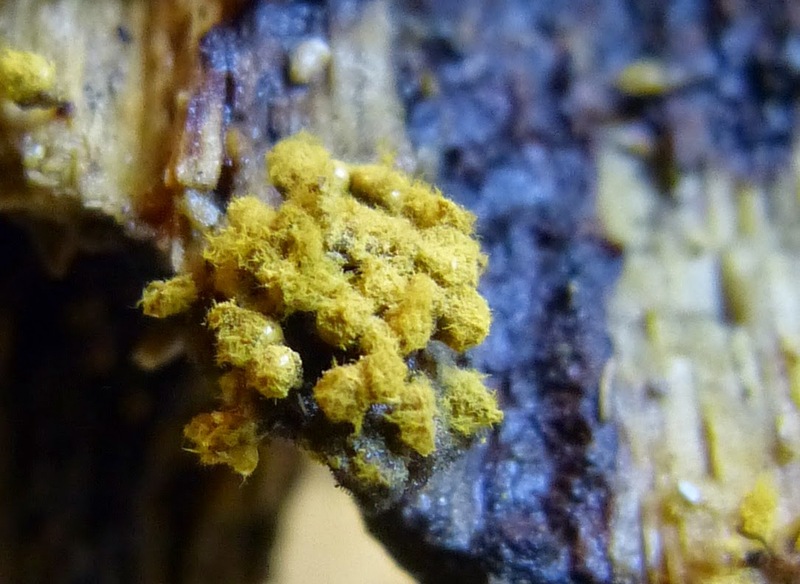 However they still retain their common name - Slime Moulds. 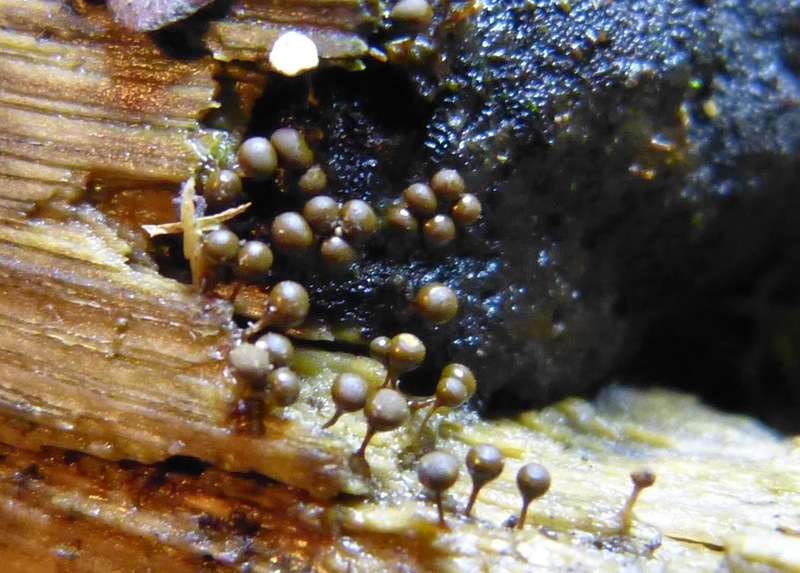 The two specimens both came from the same rotten Oak log, however in the second photo the the spores have started to emerge from the outer "casing". There appear to be few records of Cribraria, but I suspect this has far more to do with recording than the actual distribution of the species. They are ridiculously small, <1mm in diameter. I would not have seen these if I had not had a younger pair of eyes (my daughter's) with me. Good Tony ----- just need someone to get 'hooked' on these. I notice Alan Orange has a list of Myxo's recorded in Cardiff museum but few others have looked. Bruce Ing, from Chester has done most recording/research in UK so most Welsh records would be his. One 'Cribraria' is called --- confusa --- but all look like that to me.